Location | In Richland and Ashland counties, near Loudonville, Ohio, accessible by State Route 39 or State Route 603 to State Route 95. Boat Launch Ramp | The public launch ramp is located on Covert Road, off State Route 95. Pleasant Hill Lake Park | 3431 State Route 95, Perrysville, Ohio, 44864, (419) 938-7884. Open year round, fully operational Memorial Day - Labor Day. 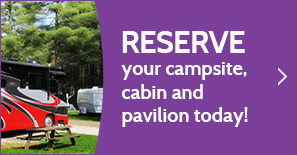 Camping | 385 campsites (Full hook-up, electric, and primitive) are available on a first-come, first-served basis. Seasonal camping is available at a discounted rate. Park Amenities | Swimming beach, special events, game courts, two-bedroom vacation cabins, concession stand, playground, picnic shelters, hot showers, modern restrooms. Marina | Pleasant Hill Marina, address is the same as Pleasant Hill Lake Park, (419) 938-6488. Docking, rental boats, fuel, limited supplies. Open April 15 - October 15, 9:00am - 9:00pm. Hunting | Permitted in all nonrestricted areas, and regulated by the ODNR Division of Wildlife. Fishing | Fish are stocked by the ODNR Division of Wildlife, District 2. For current catch reports, contact the marina. Hiking | Several short hiking trails are located inside the park. Nearby Mohican State Forest offers many hiking trails. Camps | Camp Nuhop and the Wooster Outdoor Center are located on the shoreline of Pleasant Hill Lake.